One things I like about the east side of the Big Island is the variety of places where one gets a peek of the ocean through tropical foliage. Sometimes this can be from the main highway that circles the island (the belt highway). More often, it’s from a smaller road. 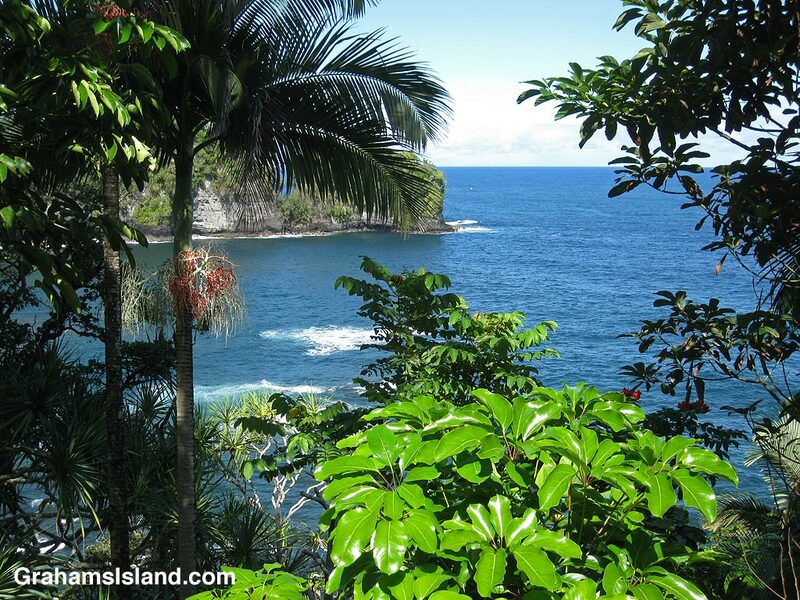 This view of the Pacific is from a narrow, twisty stretch of the original belt highway, north of Hilo.